Students from Grace Christian College were hailed as champions during the 6th First Lego League Philippines recently held at the Quezon City Interactive Science Center. The FLL PHL champion will represent the country at the FLL World Championships, to be held on April 25 to 27 in St. Louis, Missouri, USA. Other FLL PHL winners to compete in international competitions are students from the Benigno Aquino High School (second place) and Dr. Yanga's Colleges, Inc. (third place) to compete in the FLL Open European Championships on May 25 to 28 in Aarhus, Denmark; and Batasan Hills National High School (fourth place) and De La Salle Santiago Zobel School - Team B (fifth place) to compete in the FLL Asia Pacific Open Championship on July 6 to 9 in Sydney, Australia. 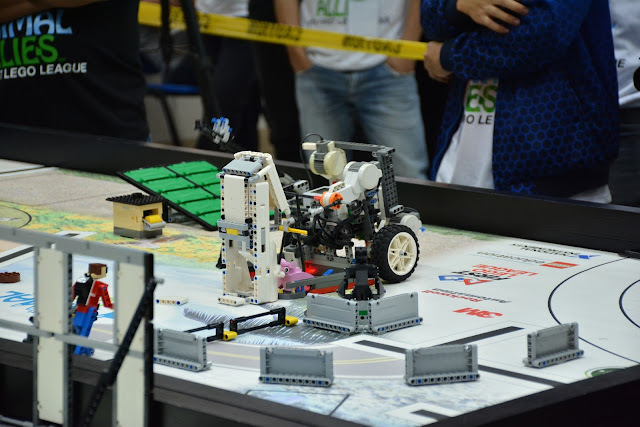 The 6th FLL PHL was participated by over 140 students from various schools in the country. These young robotics geniuses, ages 9 to 16, competed in Robot Design, Robot Presentation, and Team building challenges. “The overall vision and mission of FLL Philippines is, said Mylene Abiva, National Organizer, FLL Philippines and the Philippine Robotics Olympiad. “The students will want to learn more about computers and robotics, and they will pursue Engineering, Computer Science or other Science and Technology course in University," Abiva added. For more details, please contact FELTA Multi-Media Inc., at tel no: 912-1397 or email: felta@pldtdsl.net or visit www.felta.ph.